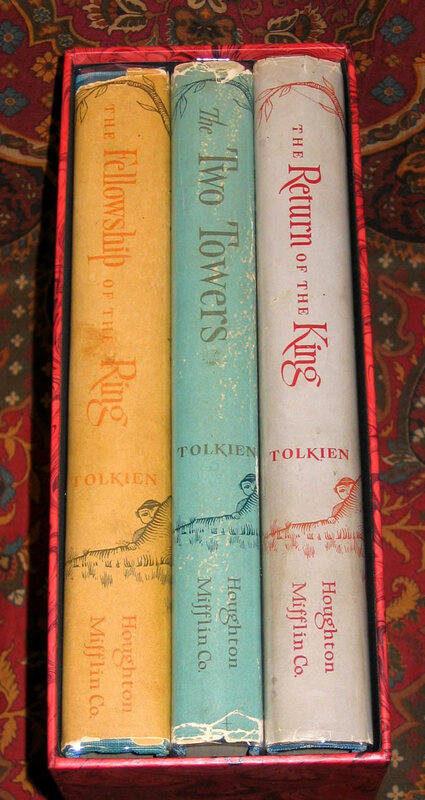 #000279 - 1st US Edition Lord of the Rings - 2nd/3rd/1st impressions with dustjackets - $1,650.00 This set is very scarce, with the variant Slate Blue/Grey Binding on the Fellowship of the Ring. 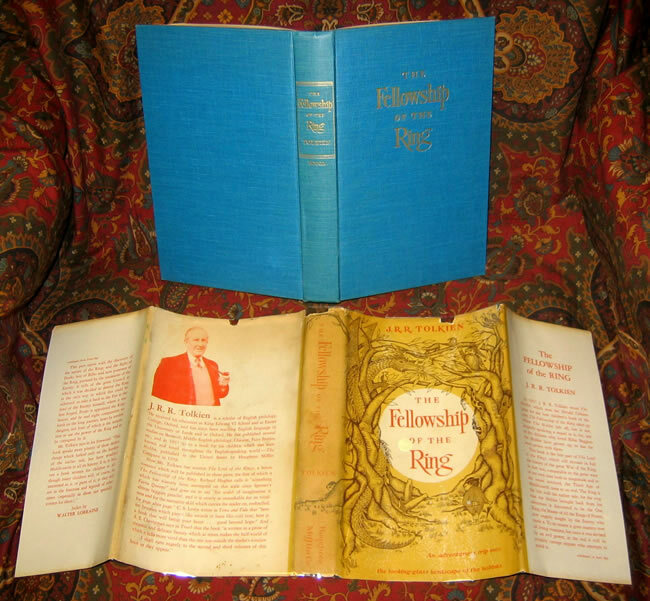 This set is very scarce, with the variant Slate Blue/Grey Binding on the Fellowship of the Ring. 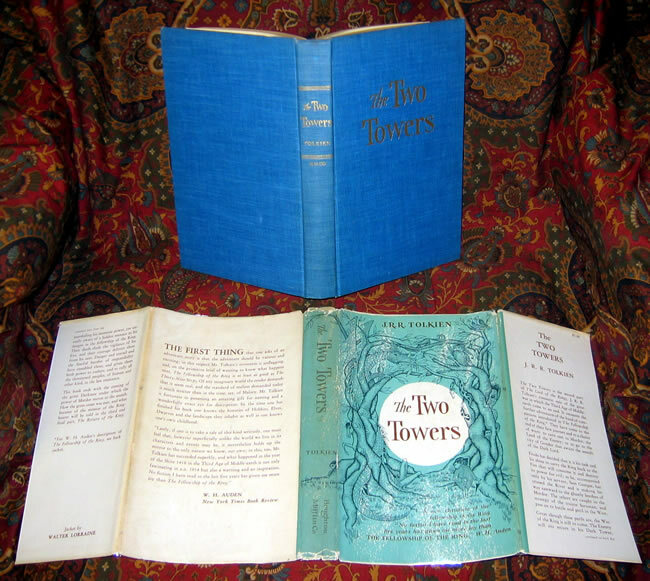 Houghton Mifflin , 1957/1959/1959 1st Editions, 7th imp./6th imp./5th impressions. The set is all original cloth with the correct dustjackets. 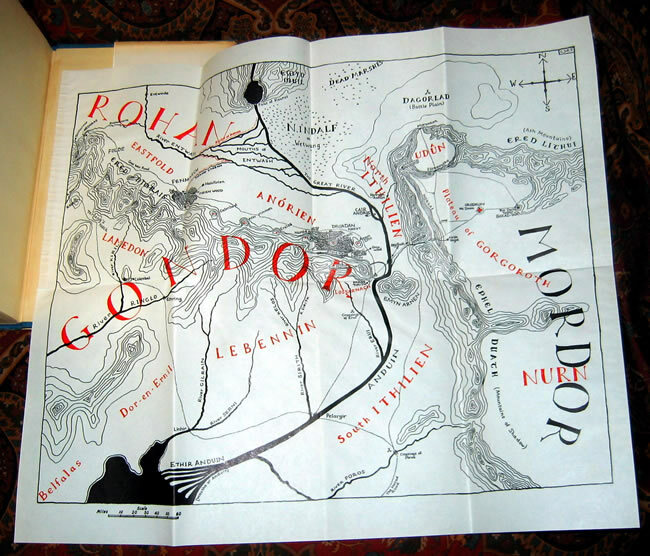 The dustjackets are all in Very Good condition. 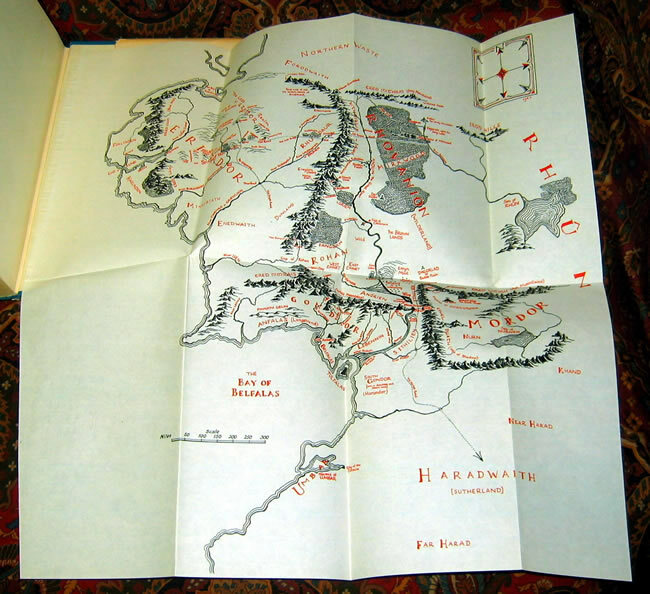 The Fellowship shows some wrinkling, some damp stains with minor chips or loss to the tips of the spine fold area. 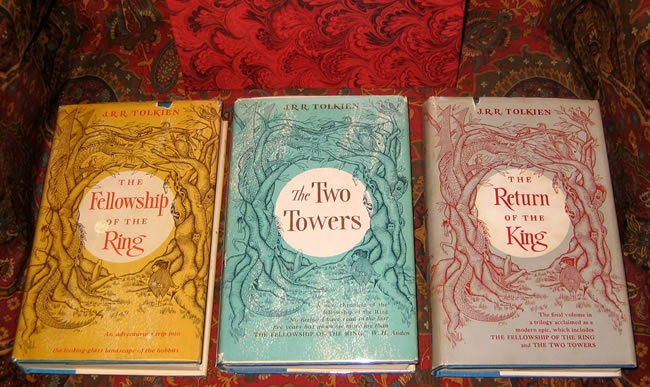 The Two Towers and Return of the King are very clean and bright, with no loss or chips. Previous owners name on the first two books, no other writing noted.